Add some extra versatility with eiengineering’s latest Mechanical Grapple. 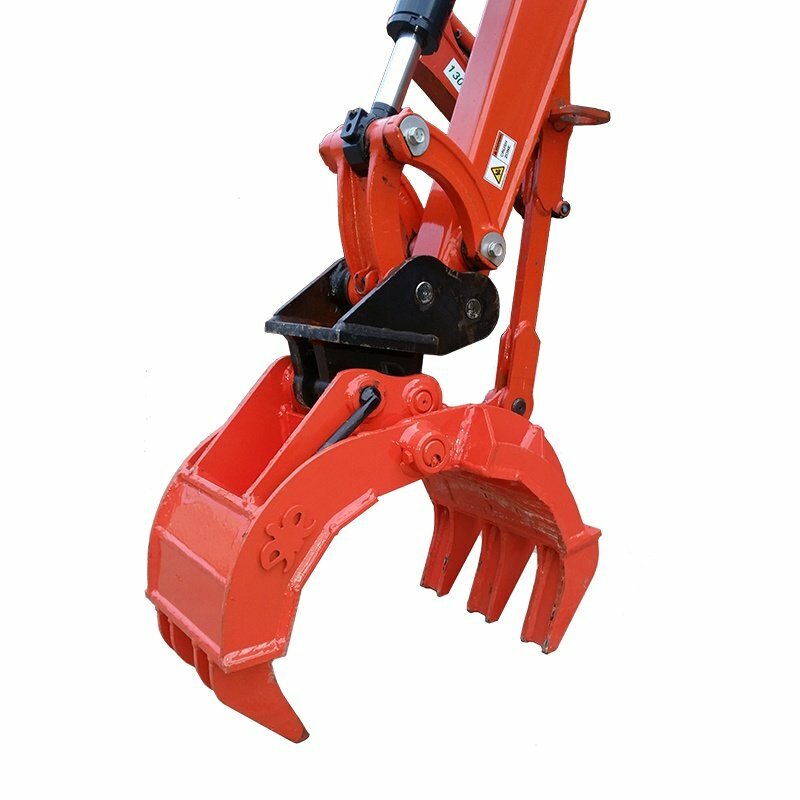 The five finger Mechanical Grapple is driven by the excavator bucket cylinder and as has a geometric reaction with a stiff arm pinned to a bracket on the dipper arm of the machine. As the bucket cylinder is opened or closed, the jaws are either opened or closed to grapple all types of application that require heavy duty and extensive lift, carry or load operations such as cleaning sites, performing demolition work, loading/unloading green waste, logs, recycling, scrap and rocks. With 3 fingers facing the excavator cabin and the two interlocking fingers away from the cab, safety is assured as any logs, reinforcing mesh, or other long materials are bent or broken away from the operator. The Mechanical Grapple has been the grapple of choice in the demolition and logging industry for many years due to its robustness and simplicity. Their ability to handle irregularly shaped loads and loose materials makes them an essential tool for reprocessing, sorting and demolition works. Our grapples do not require additional hydraulics. Heavy duty robust construction for increased lateral strength and durability. Specially designed for superior performance, ease of use and efficiency. Adjustable 3-Hole Dipper Bracket – The dipper bracket allows the grapple to be held at 3 different positions and hence easily handle irregular objects. Easy-Lock Stay Arm Attach – eiengineering’s Quick Attach mechanism ensures quick, easy arm alignment and attachment from the cab without any heavy lifting (only available upwards of 7 tonne machines). eie80 Grade is 3 times stronger than mild steel and 3 times more abrasion resistant. Means longer working life of the attachment and less downtime on expensive repairs or modifications. Larger Welds – Makes attachment construction more robust, increases life and reduces service and replacement costs. Wear Protection – Extra wear protection on grapple fingers is available for abrasive applications.